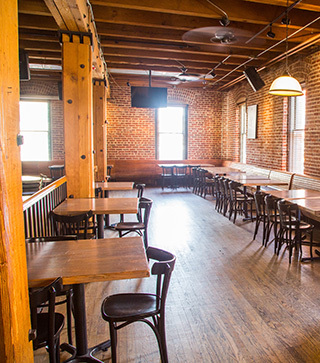 Wynkoop Brewing Company houses some of the most sought-after Denver banquet facilities. 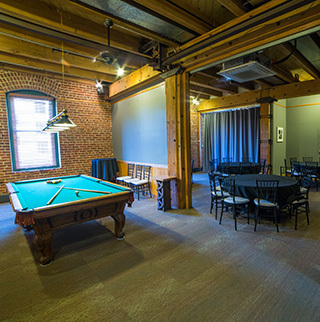 Besides our hip LoDo location next to Union Station, we offer several options in our vintage, late 1800’s warehouse building that can seat anywhere from 12 to 1200 lucky guests. Our ambiance, our food and our beer can help make the perfect reunion, rehearsal, work party, award event or any other celebratory occasion. 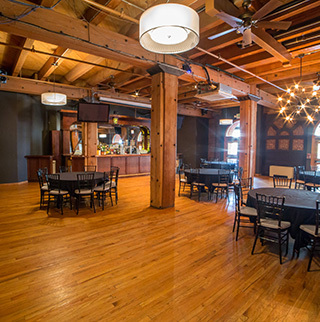 This 18th Century Mercantile showroom has been renovated into a beautiful, historic event space. It features high ceilings, expansive arched windows, hardwood floors and an antique back-bar and will accommodate up to 120 seated, or 150 cocktail reception guests. Audio-visual equipped and private patio access included with the space. 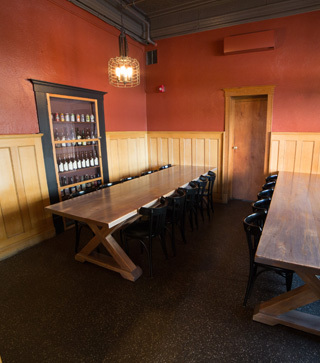 Upstairs, this room is perfect for casual gatherings or smaller group dinners. 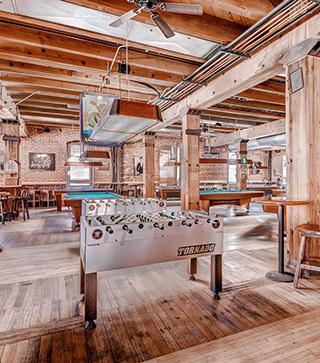 Together the space features one, nine-foot Brunswick billiards tables, television and a sound system. The space can accommodate 50 guests seated or 50 for a reception. Can be combined with a portion of our pool hall for larger groups. Our most intimate setting offering lunch and dinner seating for 12-20 guests. Perfect for client entertainment or executive gathering; our regular menu and pre-set options are available. Fill out the request form here to book an event. Food and beverage are required to confirm event space. 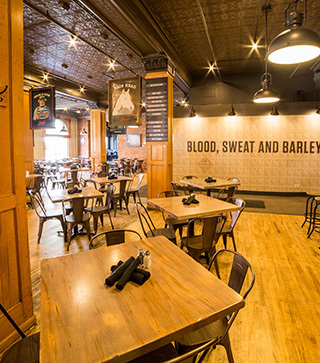 We offer standard or customized event menus and, of course, fresh Wynkoop beer.